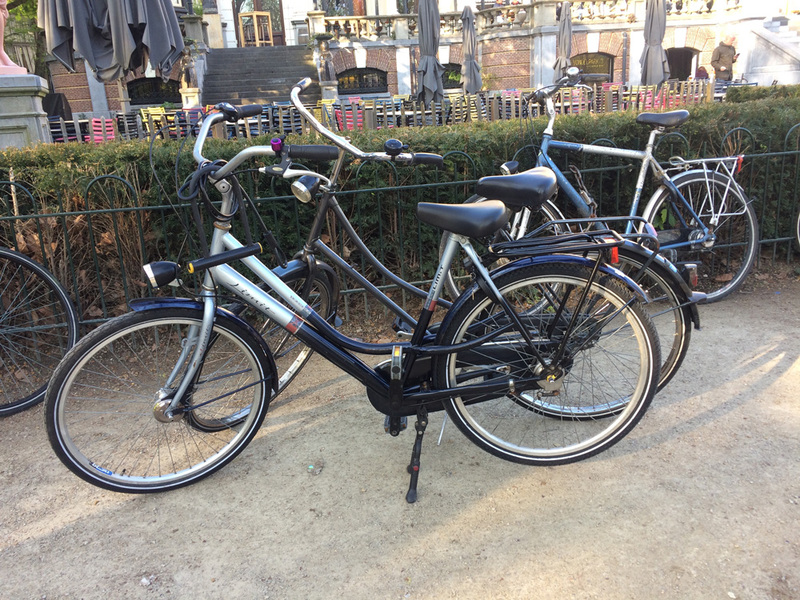 I’ve been in Amsterdam for several weeks now and have experienced bike culture here – and it’s wonderful! 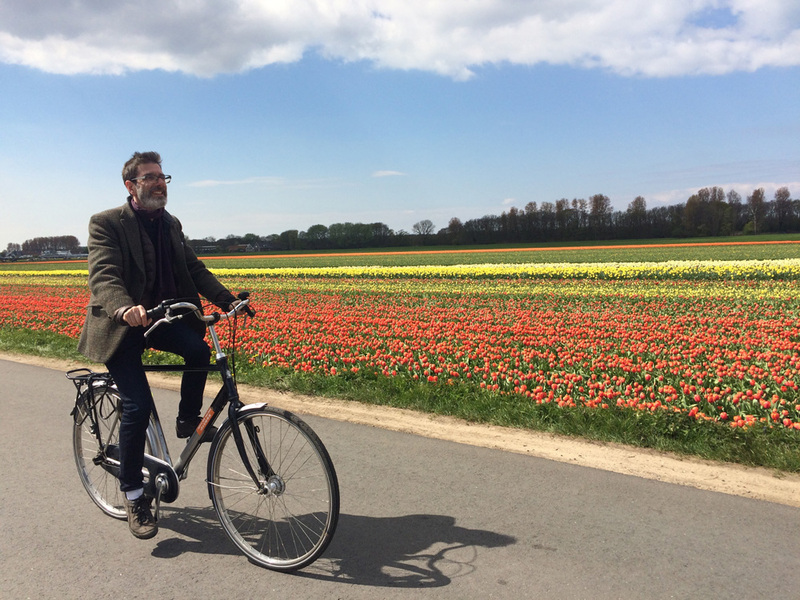 (as long as you NEVER step into the bike lane while walking) I’ve ridden in the city and in the countryside. Bike lanes are literally everywhere you want or need to go. They are on every major street, often completely separate from car traffic. They run along railroad tracks, and along highways, making cycling a realistic form of commuting to and from work. In the city, I use Google Maps or CityMapper to plan a route. Once you are here a while and internalize the half circular “grid” of streets and canals, you don’t have to rely on your phone as much. 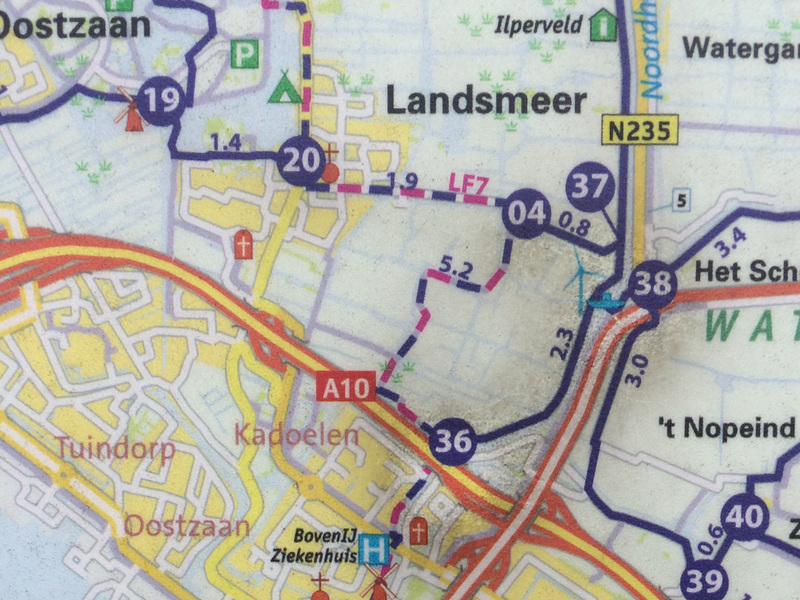 CityMapper shows me on the “regular” route, I can burn off 3.4 poffertjes – little Dutch pancakes. The fun really begins when you plan a trip to the countryside. 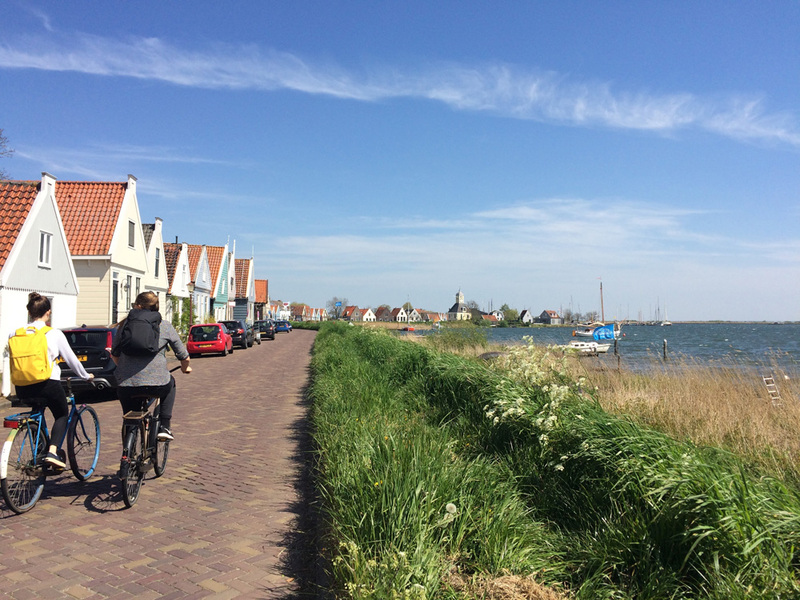 The Netherlands has an extensive, beautifully maintained system of recreational cycle routes that are very easy to navigate. There are two major systems. 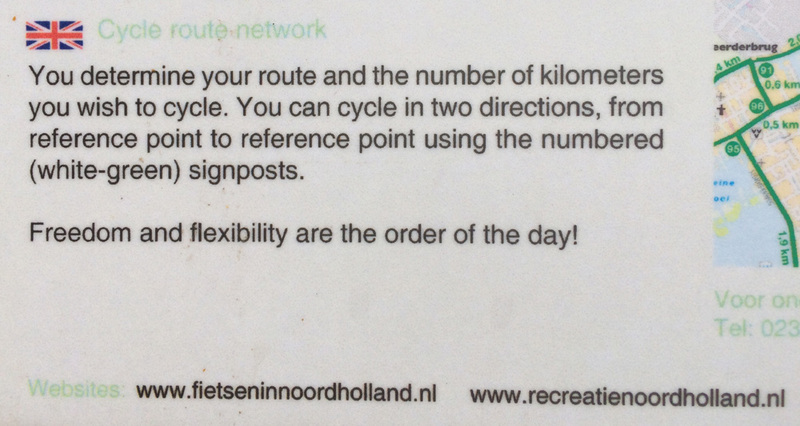 One is for day trips, and guides you with a series of “knooppunts” or numbered junctions, the other is for long distance biking, known as “LF” routes. 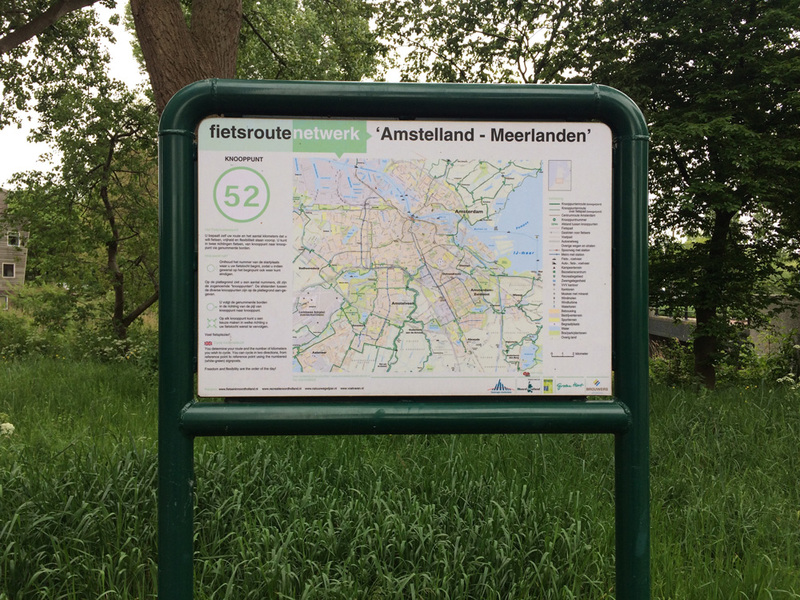 It’s easy to plan a route on the knooppunt system. 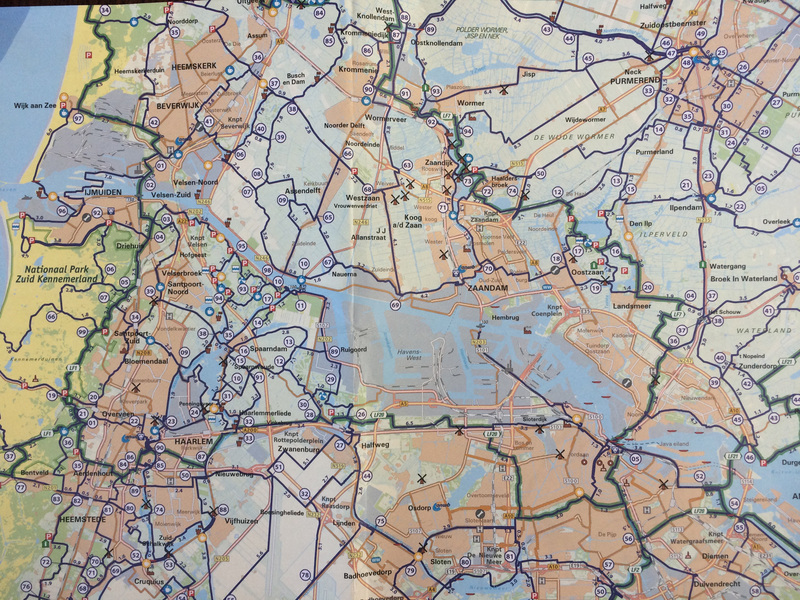 Central Amsterdam is knooppunt number 5, head north to 36 and you’ll be in farmland with dykes, windmills and polder shortly. The dirt mark tells you where you are…. 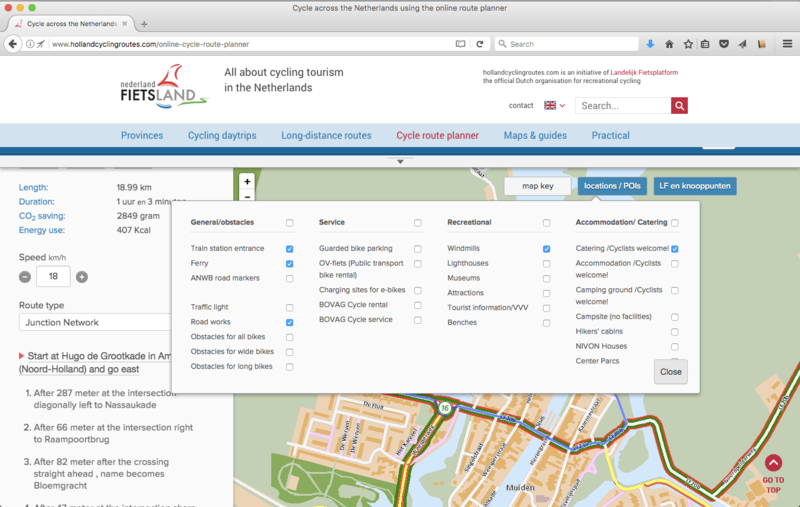 You can start with a paper map, or you can use an on-line cycle route planner. Just put in your destination and instructions and a map with knooppunts is returned. 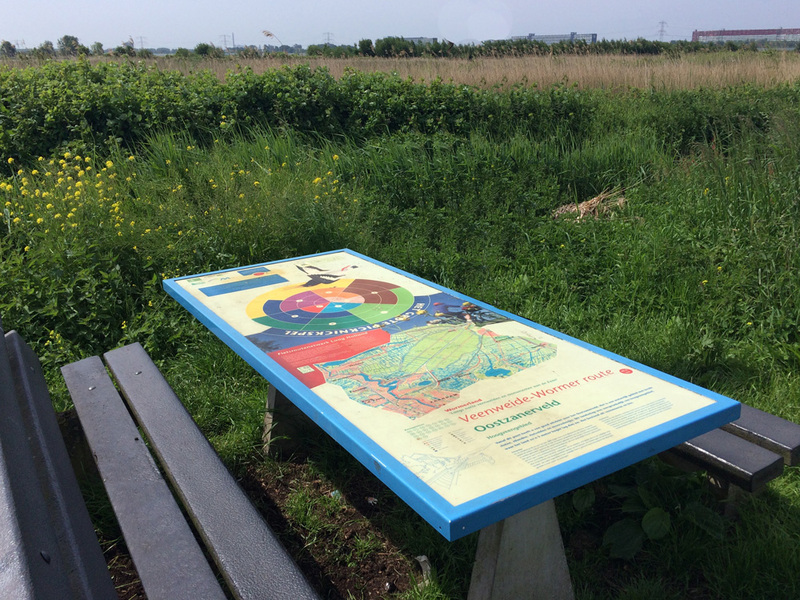 You can even choose to show where windmills and benches are located along the way. I opt to leave the benches off, as there are so many they interfere with everything else! Before you head out, it’s a good idea to write down all the knooppunts in order and clip them to your handlebars. 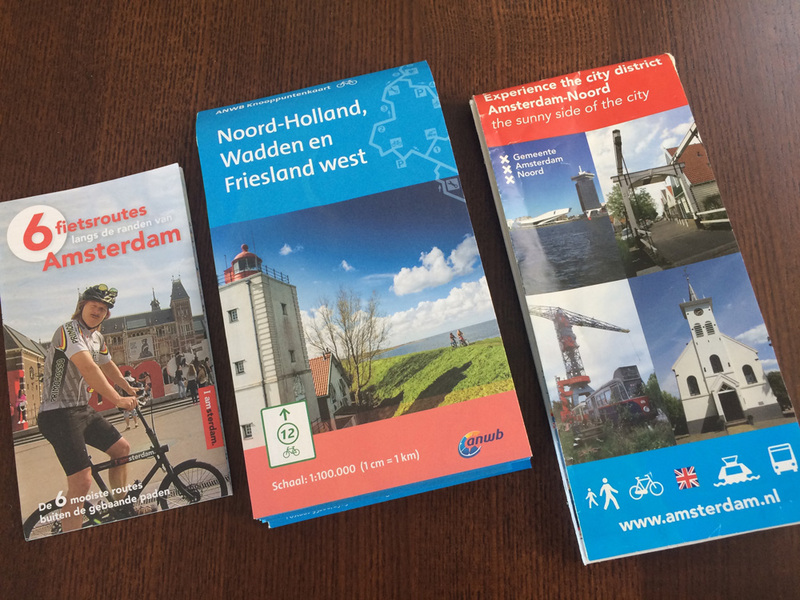 There are plenty of bike maps around, and many are free. The gentleman on the left is featured in a series of funny psa’s about cycling in Amsterdam. And no, most people do not wear a helmet. 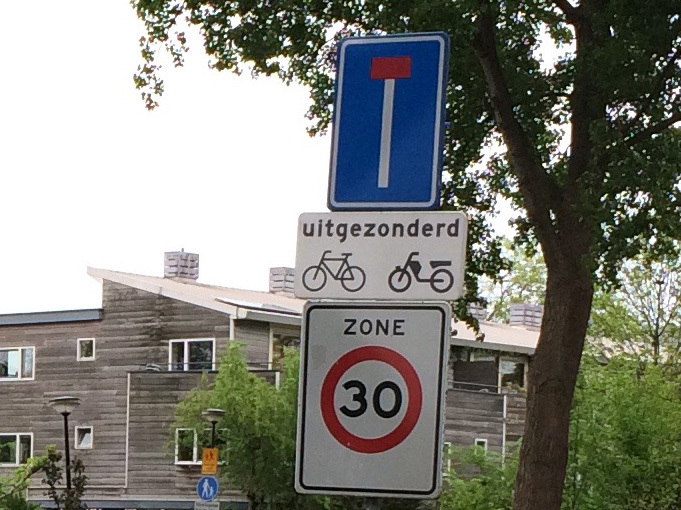 Only those wearing spandex are wearing helmets. 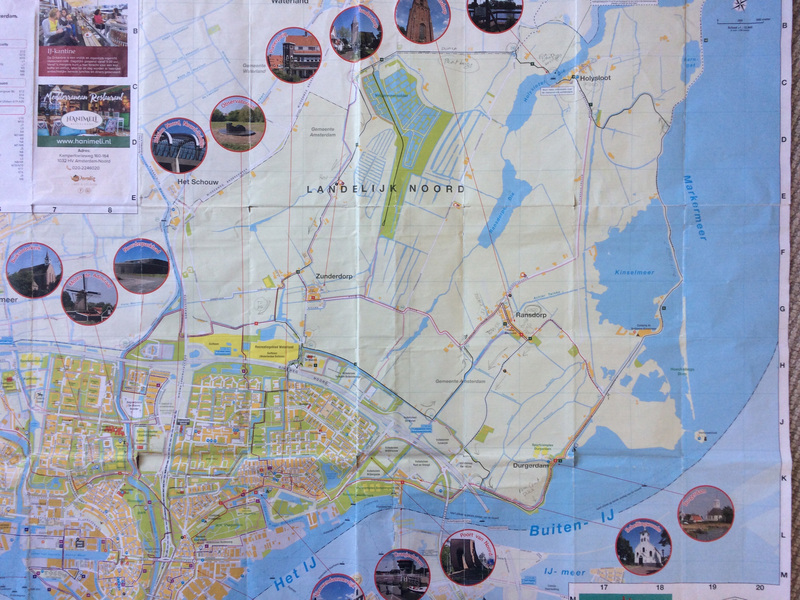 If you are on your trip and you decide to go a different way, at each knooppunt you’ll find a map, with all the nearby junctions and attractions. 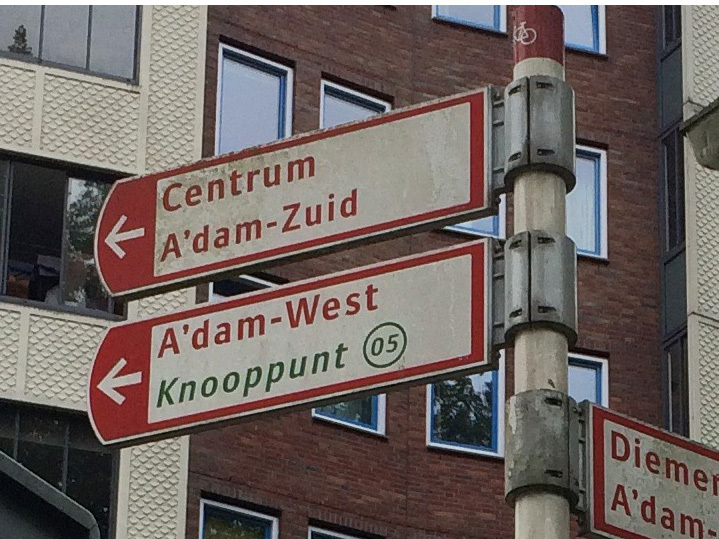 Small signs point you toward the next knooppunt at each junction, and at major decision points along the way. 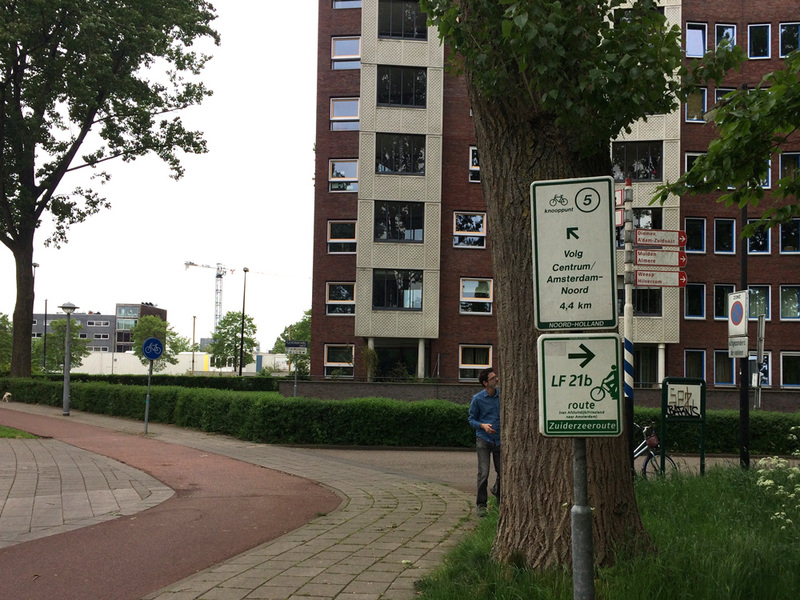 A sign at a knooppunt, and a message from it, below. 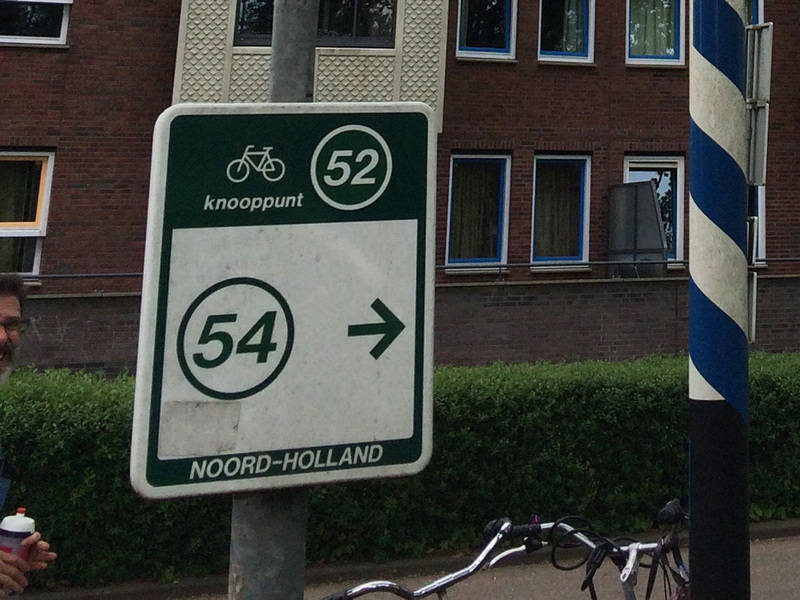 Left: Knooppunt 52 with direction to 54; Middle: Sign to 5, near Amsterdam Centraal Station with and LF Route sign below, and Left: Signs for everyone. Red and white signs are for walkers, and sometimes show a knooppunt. Outside of the city they usually have distances in kilometers. Brown and gold signs (not shown) in the city are for tourist attractions. 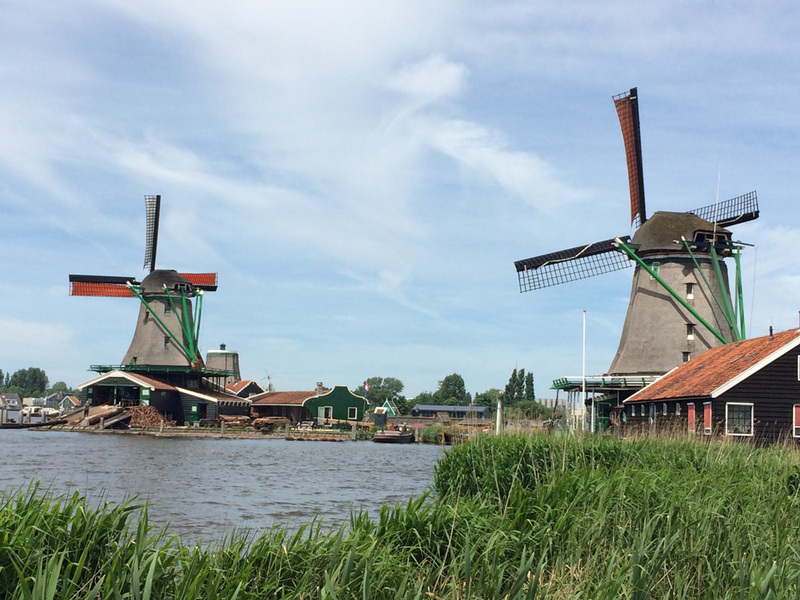 If you are interested in taking a cycling trip in the Netherlands you can do it on your own. You don’t need to be on a tour. 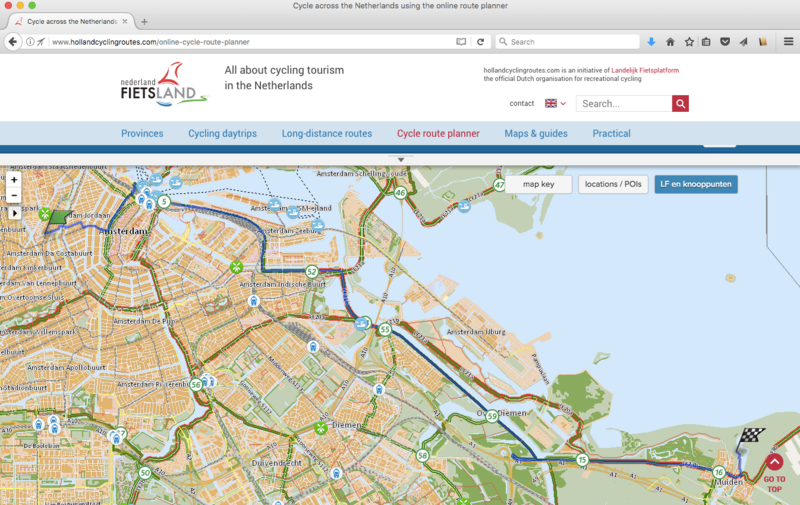 Book a nice hotel somewhere, rent a bike for about 15 euro a day, and plan your own routes. It’s the best way to discover the country. There are plenty of “favorite” routes and maps on the internet. 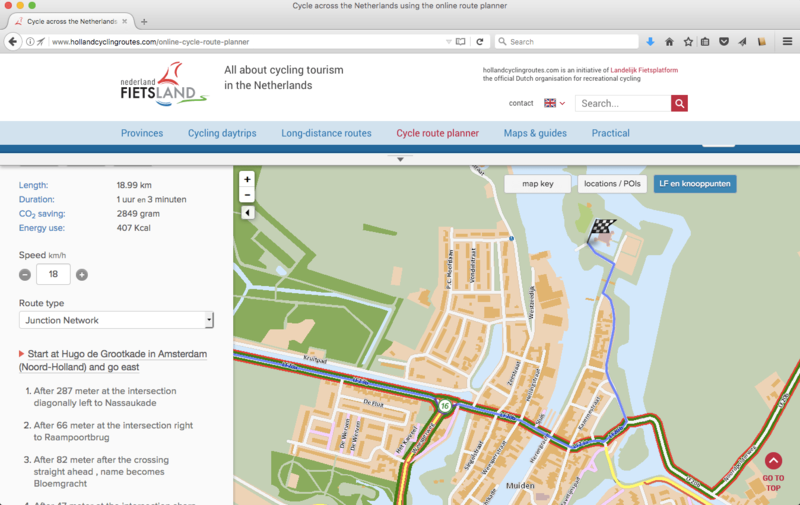 The cycle route planner also shows bike friendly hotels and restaurants, and if you need one, repair shops. 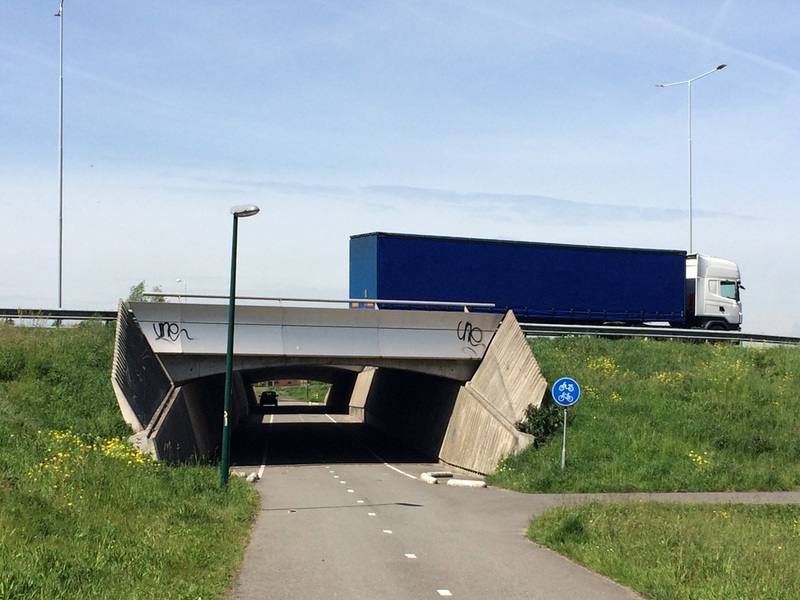 An underpass only for bikes, a rest stop picnic table with a map! Our trusty steeds, you do not need fancy bikes! Inside the paper maps shown above. Click the image to enlarge. 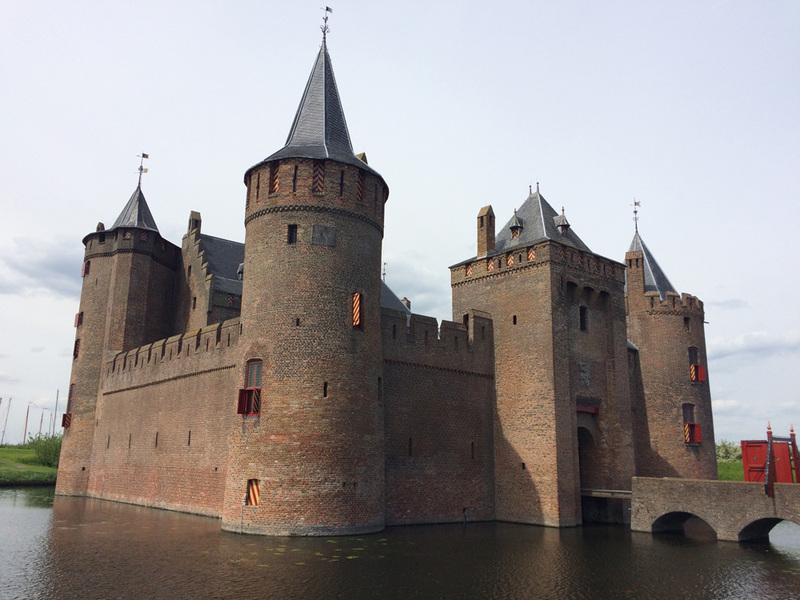 Previous Post All 9,866,539 buildings in the netherlands-but where is the Zuiderzee? Next Post Map of the Month! 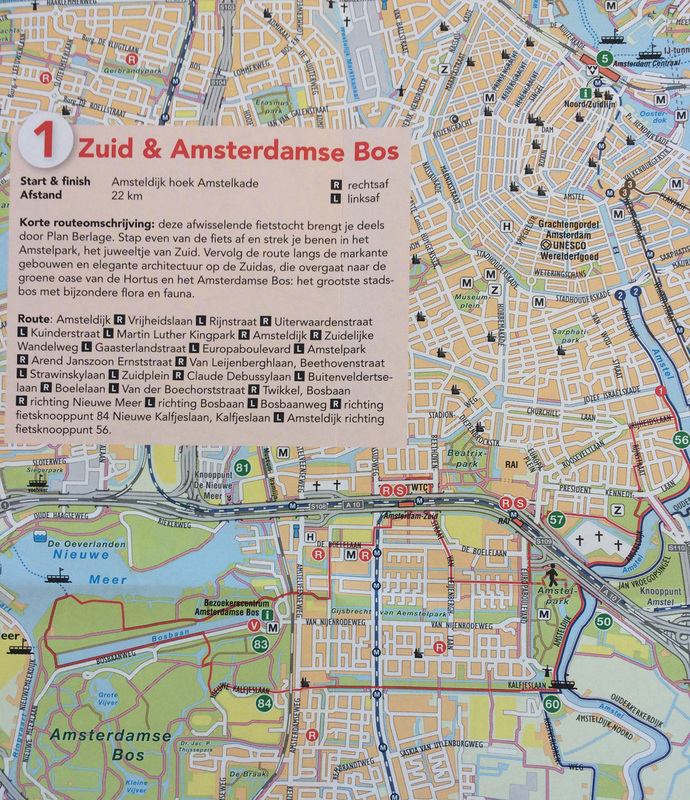 TagsAmsterdam cycle maps digital interactive paper roads signage travel try this!